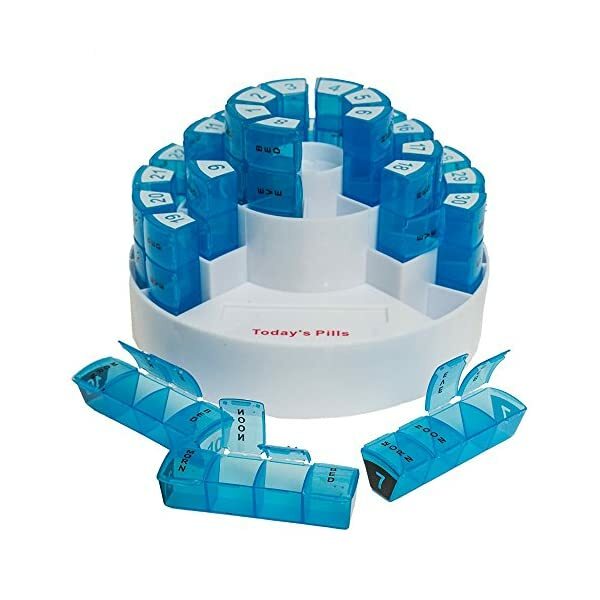 YOUR WEEKLY DISPENSER - Exact doses thanks to colored daily boxes with permanent servicing signs. 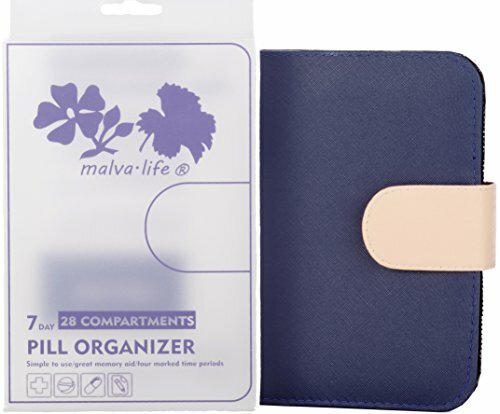 TAKE IT WITH YOU WITHOUT SHAME - Handicrafted case like notebook fits in your purse or travel bag. 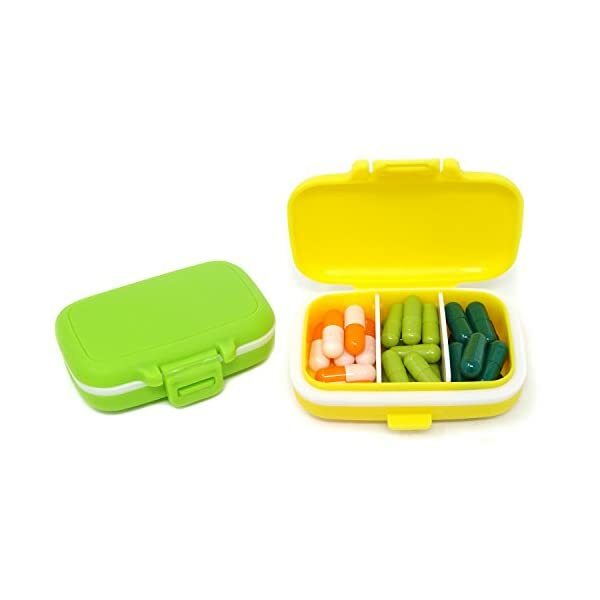 EASY-FILL and Compartments features secure, individual lids to ensure no fall out accidentally. 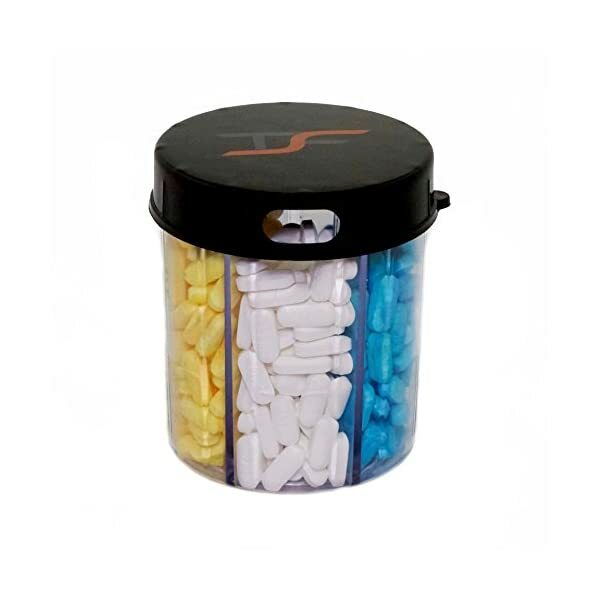 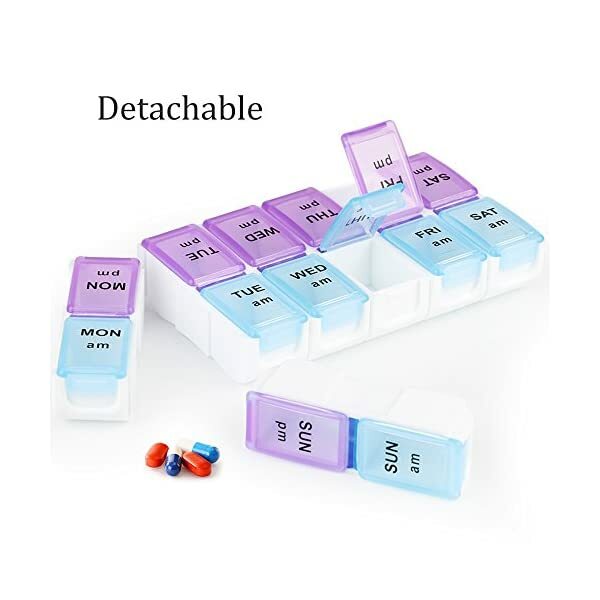 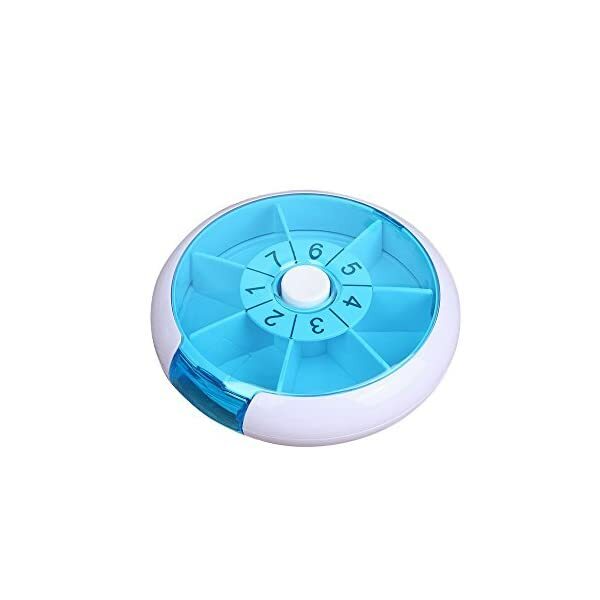 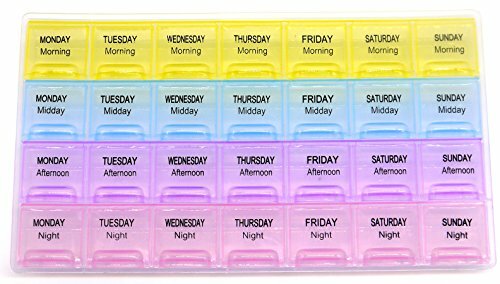 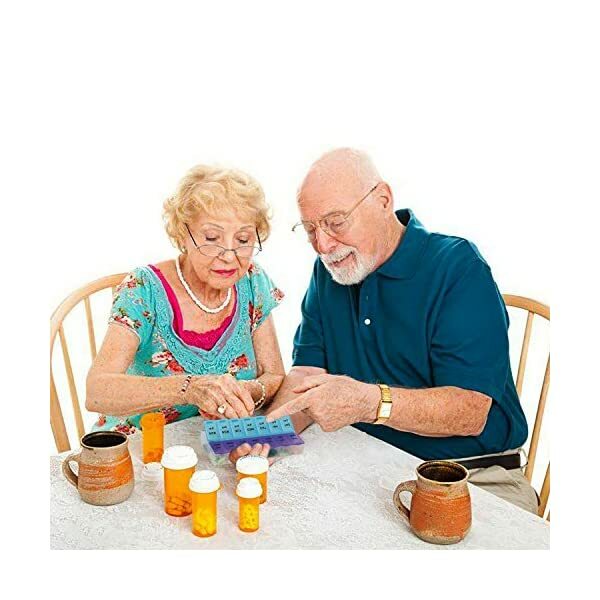 7 Day Weekly Pill box:This LazyMe pill container with 7 slots. 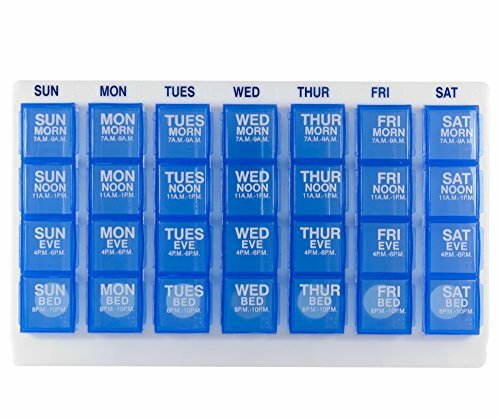 Vivid colors to easily distinguish days of the week.